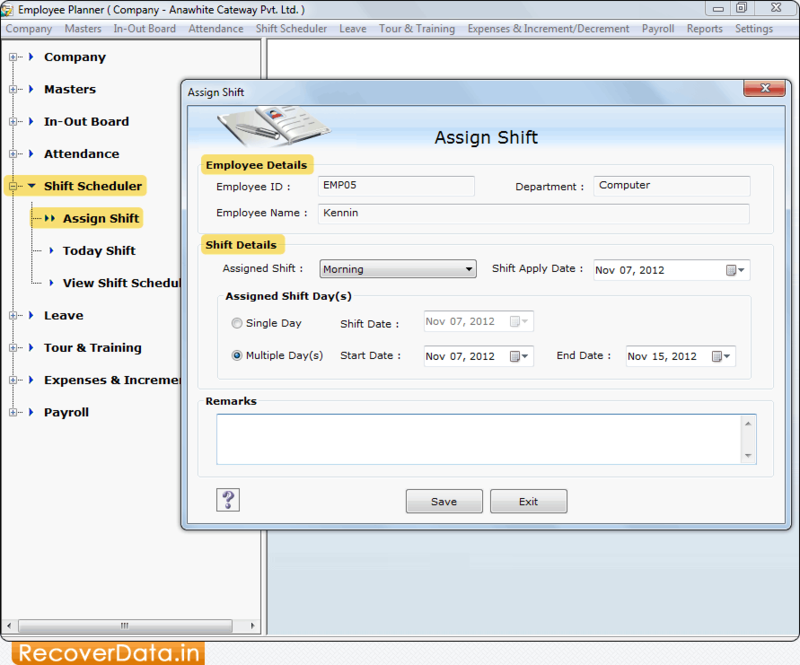 Employee Planner Software maintains shift schedules of office employee for any company or organization. Employee Planner tool simplify your time consuming task of scheduling employee day to day attendance with leave details. Employee Scheduler Software successfully meets your specific business needs of maintaining employee records of multiple companies at one place. Keep track of employee payroll with salary increment and deductions details. Password protection software prevents unauthorized access of company records. Generate Employee information list with company detail reports.